A former CIA asset, Dr. Jim Garrow, is making headlines again by claiming that Barack Obama is an Indonesian citizen who was educated in a school for Imams and subsequently put in place by the Saudis to bring down America. 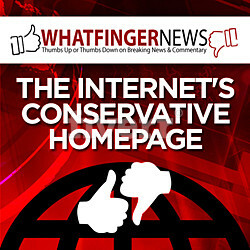 In an interview with Dr. James David Manning, Garrow also references a document which supports most of his claims while citing that “Every intelligence service in the world has this document.” I am not sure how accurate that claim is, but I know you would be hard pressed to find someone in the conservative blogosphere who does not have an image of Barack Hussein Obama’s Indonesian school registration. 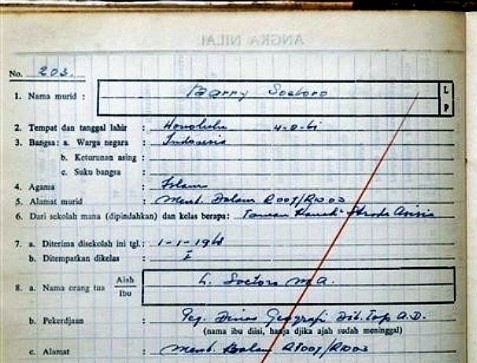 It is in fact proof that he was an Indonesian citizen at one time. Whether he is still legally an Indonesian citizen is up for constitutional scholars to decide. Here is a glimpse of the document in question. 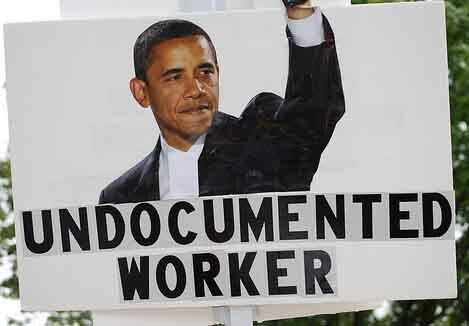 Below is an audio of the interview, courtesy of Birther Report, and an amateur transcript. Dr. Manning: Is Obama a Muslim Sympathizer, a Muslim wannabe, a Muslim that has been put in place to weaken America and all of its offices of leadership? It’s about time that America finally wakes up to who he is. This caliphate will be so powerful that only a person like you or Ronald Reagan could stop it. Dr. James Garrow: Well you need to know that he is a Muslim. From a young age he was indoctrinated in Madrassas school. There was in place, to train young boys to become Imams. He was there for five years. This was in Indonesia. His application to the school said that he was an Indonesian citizen. We have this document. Every intelligence service in the world has this document. But it says very plainly he is an Indonesian citizen and that his religion is Islam. So that’s who he is. We’ve been lied to from the very beginning. He is not a Christian. He’s a practicing Islamist who practices the art of taqqiya: deception to enhance the possibility of Islam moving forward. So that is his dedication. He is bought and paid for by the Saudis, of the Saudi Royal Family, and put in place to bring America down. Dr. Garrow is most noted for being a former Nobel Peace Prize nominee. He has made some stunning and downright bizarre claims in the past. The Saudi involvement is not substantiated by other sources, to my knowledge. However, his Indonesian citizenship has been outed by multiple sources. Garrow is also not the only individual with CIA ties to talk about Obama’s connection to Islam. Do you think this one piece of evidence (the school registration) is enough for an investigation into Barack Obama’s eligibility? It is in black and white on an official document and as “plain as day.” I believe it is more than enough reason to investigate. It is hard to deny what we see right before our very eyes, yet many pretend that such evidence does not exist. In fact those who we elected, and are paying to represent us, simply do not care. As the congressman from Oklahoma, MarkWayne Mullins, told his constituents last year, congress simply doesn’t give a sh**. Try to digest that with your Tuesday morning bagel.